An unbelievable wildlife story, showing God’s creations through nature’s beauty. After reading the story you will wonder if this is a regular occurrence or a once in a lifetime blessing. This is a true story for readers of all ages. It may bring tears of sadness however, closely followed by tears of joy. 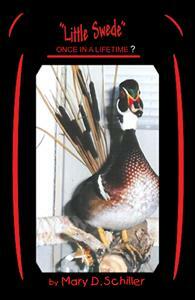 It is a heart-warming story of a wood duck that becomes part of a family. Whether you are a wildlife lover or a hunter--If your connection with animals is only skin deep or somewhere deep inside of you, this story is sure to bring out the animal lover that we all have somewhere inside of us. Could this be a once in a lifetime occurrence? I'm not much of a reader but I could not put this book down untill the end. If you are a wildlife lover it's a must to read,if not a wild life lover you will be after reading this book and very amazed how one small duck can change lifes. A story inspiring for all ages.